Commercial epoxy flooring has become the leading choice for industrial and commercial facilities in a wide range of sectors. Industrial-grade epoxy offers unique properties that make it perfectly suited for high-demand environments. It can even be formulated to meet specific needs, such as static dissipation and heightened chemical resistance. Unlike other commercial floor systems, commercial concrete epoxy doesn’t require extensive and time-consuming maintenance like waxing and polishing. It has the strength and durability to handle even harsh industrial environments yet it’s attractive enough for upscale lobbies, retail facilities, and bars. Our commercial epoxy contractors in Boise, Idaho install professional commercial epoxy solutions for all industries in Idaho. We use only industrial-grade 100% solids epoxy combined with thorough concrete floor prep to deliver long-lasting epoxy results that can withstand anything you throw at them. Hotels, bars, clubs, and lobbies. Food service and food processing. 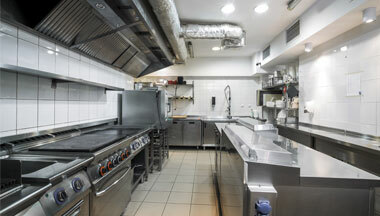 Commercial kitchen flooring epoxy is USDA approved. What Are the Benefits of Commercial Epoxy Flooring? 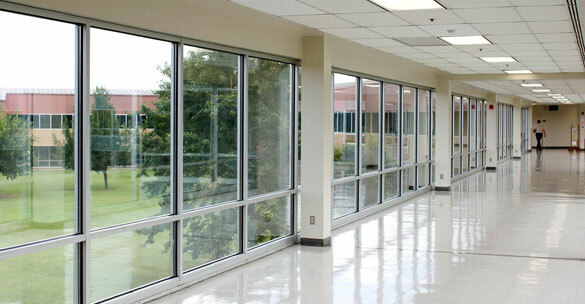 Commercial epoxy is a versatile solution that can be used in factories as well as upscale hotels. It’s one of the most affordable floor systems available yet it offers unrivaled durability and protection for your property. Here’s what commercial epoxy flooring in Boise has to offer compared to alternatives like terrazzo, rubber, and unfinished concrete. A unique property of epoxy is it’s applied as a liquid and bonds with the underlying concrete substrate. This forms a seamless surface that repels liquid, protects the concrete, and will not hide dirt or pathogens. Commercial concrete epoxy is a USDA-approved floor system that can be used in hospitals, operating rooms, commercial kitchens, and more. Commercial epoxy flooring is incredibly easy to maintain and clean. It never needs to be waxed or polished like some commercial floor products. Spills are isolated on the surface for easy cleanup and neutralization. 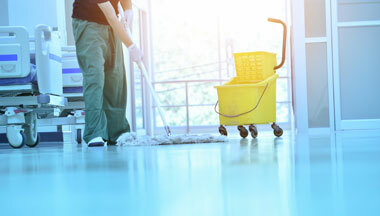 The epoxy surface can be easily cleaned with regular sweeping and mopping. With cove protection, commercial grade epoxy floors can even be pressure washed and squeegeed. It’s hard to beat commercial-grade epoxy flooring in terms of cost. Epoxy offers an affordable installation cost, even including professional-grade epoxy and thorough prep work. Industrial-grade epoxy flooring can also last 10-25 years, depending on the environment, for an excellent return on your investment and a low lifecycle cost. Epoxy also reduces facility costs with low maintenance requirements and specialized fast-cure formulations to dramatically reduce facility shutdown time during installation. Our Boise commercial epoxy floor installers can create any look you want with epoxy flooring. Single-color high gloss flooring is just one option that can work for an auto showroom but we can also add texture and color to your floor. Epoxy flake flooring is popular in many commercial buildings thanks to its skid-resistant surface and attractive pattern that resembles granite. 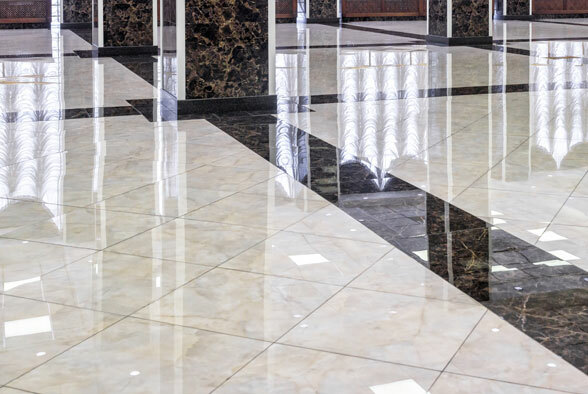 The ultimate show-stopping look is metallic epoxy flooring which has a pearlescent and three-dimensional look perfect for lobbies, restaurants, and retail facilities. The last thing you want to do is invest in a commercial floor system that will show its age and begin to deteriorate within a few years. 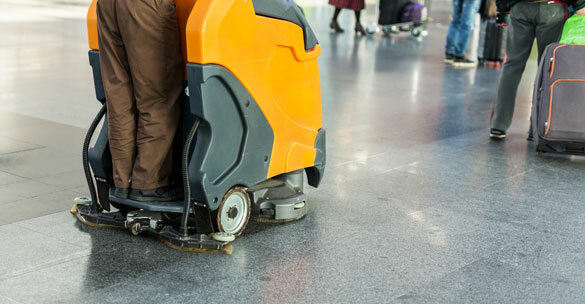 Damaged flooring can pose a real danger for employees and customers. It can also damage forklifts over time. In public areas, deteriorating and stained flooring can also damage the image of your business. Commercial epoxy is formulated to withstand everything from chemical spills and heavy machinery to constant foot traffic, moisture, and impact without damage. It can even last 10 years in industrial environments or up to 25 years in low-demand settings. Call now and get a free quote for Commercial Epoxy Flooring Services.